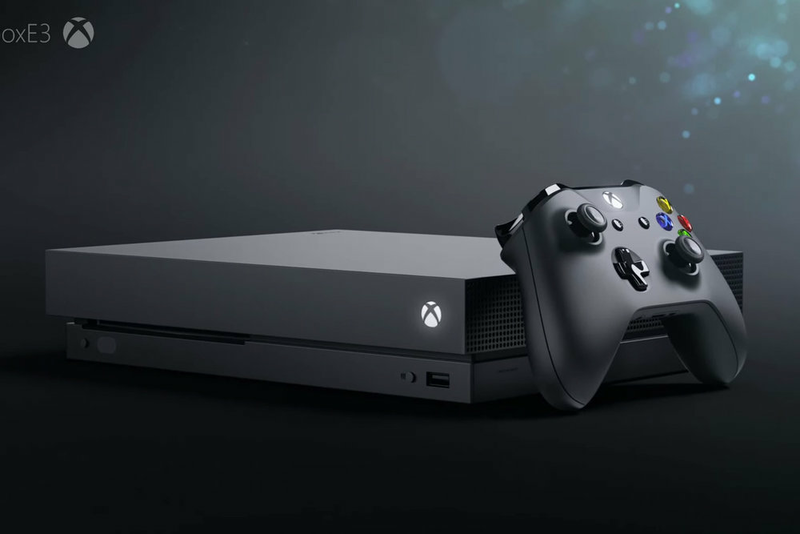 After months of speculation, design rumors, and a variety of names, Microsoft unveiled its latest project that the company has been working on for months, and it is named Xbox One X. The new console will launch on November 7, 2017, with a starting price of $499. The biggest problem when the Xbox One was first announced several years back was that all previous accessories for the Xbox 360 would not be compatible with the new console. However, Microsoft confirmed that all Xbox One accessories would work and retain all of their functionality with the new Xbox One X. Along with that, all backwards compatible games will also work with the new console, and the console will have a “super sampling” feature to give games a graphics boost on 1080p TVs. | Source: Microsoft | A close look at Microsoft's new Xbox One X. The Xbox One X has an impressive list of specs. The console will ship with 6 teraflops of graphical power, a significant increase over the PS4 Pro’s 4.2 teraflops. The Xbox One X is equipped with a custom GPU engine that runs at a jaw-dropping 1172 MHz, as compared to the Xbox One’s 853 MHz, or the PS4 Pro’s 911 MHz graphics engine. Like the Xbox One S, the Xbox One X will ship with an Ultra HD Blu-Ray drive to take advantage of 4K movies and any other various entertainment. Microsoft also announced that the Xbox One X will run games at native 4K, and existing games will see a “noticeable” improvement. The console is an improvement over the Xbox One S, however for most people this will not be worth the upgrade from another version of an Xbox One. If you are interested in the native 4K gameplay for your 4K TV, then it might be worth the upgrade, but other than that the Xbox One X offers few new features that cannot be completed with an Xbox One or Xbox One S. Nonetheless, the Xbox One X will add to the competition of high-end consoles, making gaming that much better for gamers around the world.